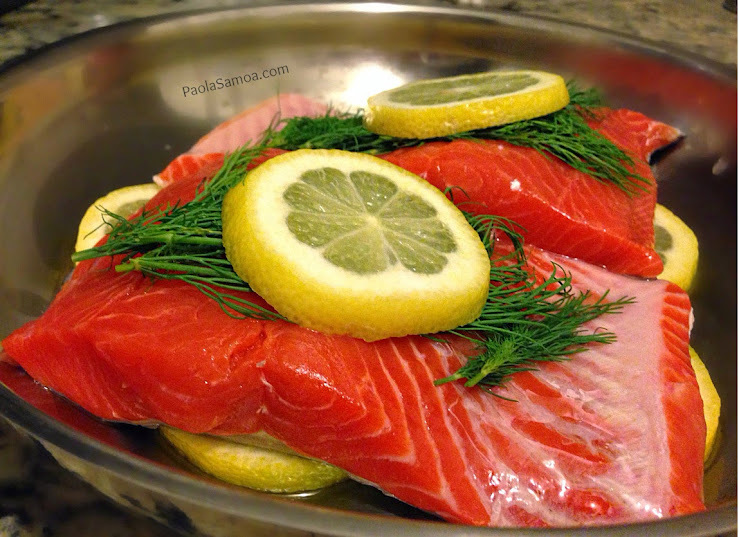 Sockeye Salmon with Dill & Lemon. I usually base my week’s dinner menu on what’s in season. I mean, it only makes sense. If it’s in season, it’s in abundance; if it’s in abundance, it’s usually cheaper; if it’s cheaper, I’m happier. I love Fresh Direct because they have Seasonal Sales (dubbed President’s Picks). A couple of weeks ago, their Wild Alaskan Sockeye Salmon was on sale so of course, I picked up a couple of fillets. I mean, look at it! How can you resist that bright red hue? !